Windy And Warm With Free Fingerstyle Guitar Tablature. This free online guitar lesson has fingerstyle guitar tablature for this great song. Windy And Warm is a very popular song for fingerstyle guitar players. 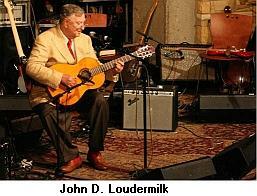 It was written by songwriter John D. Loudermilk. He said that he wrote it for Chet Atkins. There are a ton of versions available. The most popular versions are probably the ones by Chet Atkins, Doc Watson or Tommy Emmanuel. The version in this free online guitar lesson is loosely based on Doc Watsons version. I have added some of my own licks toward the end of the piece. I've also put a new ending on it. I've changed the fingerings on some parts of the song to use more open strings. I like the sound that using fretted and open strings make. This can help create a fuller sound. It also helps make moving from one part of the fingerboard to another smoother sounding. The song has four different parts. I think of them as parts A, B, C, and D. Part A appears several times. The other parts will be played only once or twice. It's important to use the MIDI playback of the tab to hear the order that the different parts come in. The graphic below shows you where to click to hear the playback. You'll need to use this TadlEdit viewer to view the tab. The free guitar tabs can be found here. Following the free guitar tabs will show you how to play my version of Windy And Warm. Want to learn another version of Windy and Warm for free?